A client chose to enter your store. Do you want to know what he liked and what else he’d like to see in your store? It’s easy to find out! You don’t need to be a magician or to be a mind reader. Everything it’s possible with a well thought loyalty program with VirtualCards. A virtual loyalty cards offered to your client, straight on his phone, means quality communication. Let’s see what all is about! Virtual card – easy access for clients, straight on their smartphones. They find out about your discounts quickly and there are no additional costs for plastic cards, no paperwork, everything is turned digital! Loyalty program – do you have a stamp or points based loyalty program and you have to make it every time you have offers and discounts? Build a loyalty program as you want. Customize the appearance, color, stamps, send notifications about the number of points, reward your clients and let them know about your card advantages straight from their phone. Offers – who doesn’t like sales? Window shopping is now digital! Discounted products are shown on clients’ phones in their way to work or from the comfort of their home. Users can see your promotional products faster. Coupons - saving a significant amount of money will always appeal to your customers. 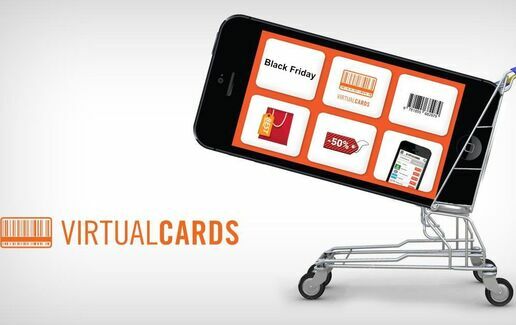 A coupon shown in VirtualCards can be saved on their phone with a simple click and can be used in stores. Notifications - did you know a VirtualCards user can get notifications from his favorite store where he decides to create a loyalty card? Well, he is happy to receive your offers and to know about your new products. Moreover, when he is passing through your store, he will get a localization notification, which invites him to visit your store. Newsletter - because you are a VirtualCards partner, your offers are announced through our newsletter as well. This is where the best and newest promotional products are announced; join big brands from different industries and make your clients happy! Text message - clearances and clothes from last season? Let your clients know through a text message about those big discounts awaiting them. Statistics - we offer you easy access to statistics, because we know it’s important to measure campaigns’ results, to optimize your loyalty program to your clients’ profile and to have a platform dedicated to you. Find out how many cards do you have, how many times an offer has been clicked or how many times VirtualCards platform has referred clients to your website. Feedback - it’s crucial to know what is in your client’s mind, to understand it and to act upon his suggestions. With our feedback option, users can express their opinion and get a response straight from the source, meaning you. Localization - users can check the map and find the shortest route to your stores. Scanning virtual cards - we offer you VirtualBiz App so you can replace the old scanner and scan a virtual card straight from a smartphone. Give your clients discounts or prizes on the spot!